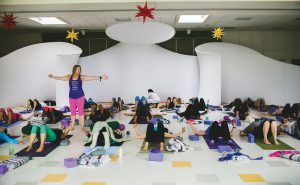 Yogis will descend on the East End just after Independence Day to join in the 5th Maine YogaFest—a weekend-long celebration designed to promote awareness of the physical, mental and spiritual benefits of yoga. 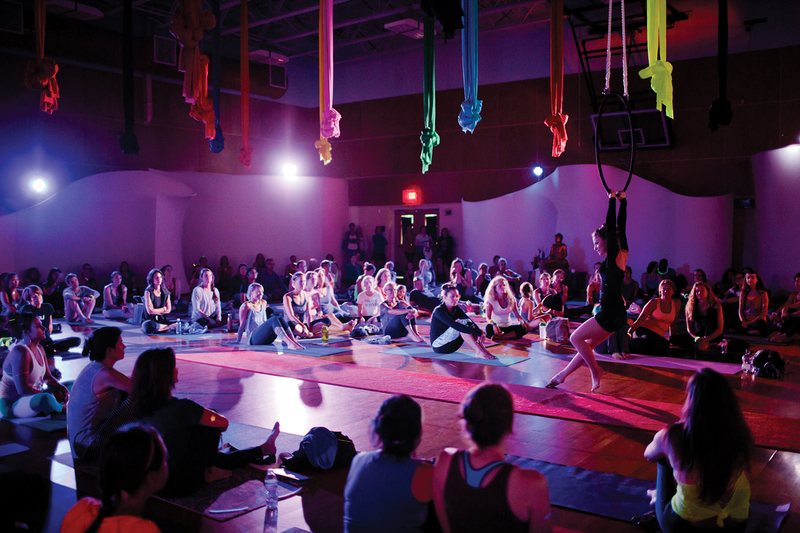 The festival was founded 2012 by three friends—Justine Carlisle, Dana Woodbury and Regan Johnson—as a means to share their love for the popular form of exercise, which includes meditation, rhythmic breathing and a series of postures to stretch and strengthen the body. This year, the founders of sheJAMs—Julie Marchese, Andrea Gleason and Melissa Smith—join the team to help further promote and grow the annual event. The majority of the festival’s offerings are held at East End Community School in Portland, with some exceptions. Tickets are currently on sale at varied prices depending on your interested level of participation, says Gleason. “There may be some classes that sell out, but we have 87 offerings and have added an additional tent this year,” she says. 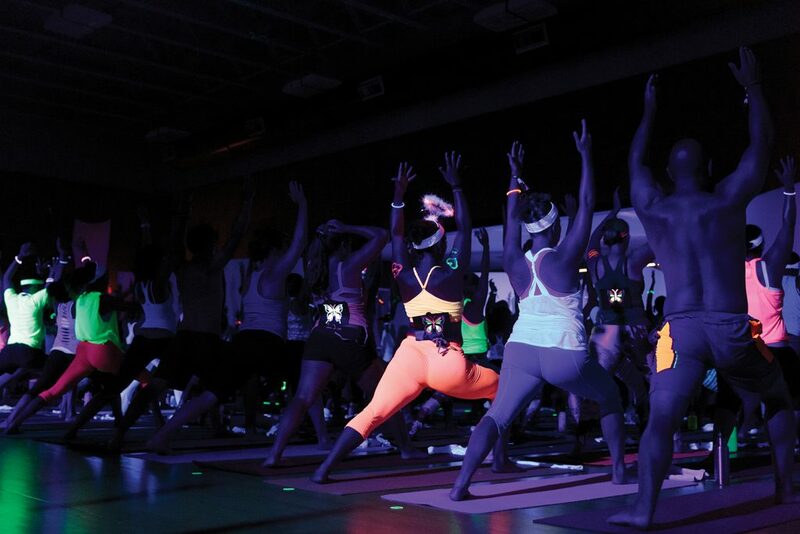 The weekend kicks off at 7 p.m. Friday, July 7, with the “Rock & Flow Extravaganza,” an 80s-inspired and sweat-inducing yoga flow class. As the description says, “high hair, leg warmers, leotards and neon are not expected, but highly encouraged,” and this event will set the tone for a fun weekend. Some new offerings this year include Thai yoga bodywork, which combines yoga-like stretches, body movements and massage, and yoga out at Fort Gorges, which includes a guided paddle to the fort (kayaks provided). A hooping class is back on the schedule this year as well. Each pass includes a meditation session and health and wellness lecture. The Works, Purity Organics and b.good will provide healthy food options throughout the weekend for attendees. Keeping with the spirit of yoga, the festival strives to leave as small a carbon footprint as it can. Garbage to Garden will help manage the festival waste and compost as much as possible. Attendees are encouraged to bring their own water bottles and Portland Water District provides refilling stations. The electricity for charging stations and tent lights is sourced through solar panels courtesy of Revision Energy. Even the location was chosen because it’s a LEED-certified energy efficient and green building. The festival, held at the peak of summer, usually lucks out with weather.